Since the introduction of mouse, there's not much advancement in human-computer interface technology. The new precision laser mouse does not change the fact that it is still a mouse, and function like standard mouse. 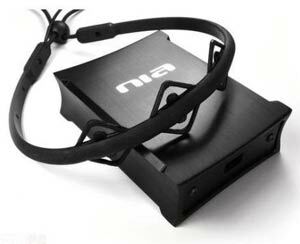 To our surprise, OCZ Technology bring this "out of this world" brain interface called NIA that stands for Neural Impulse Actuator to our casual computer and even branded it for gaming purpose. Imagine, your playing Crysis using NIA. While you still using keyboard to move the character, and mouse to aim, but you can activate certain abilities your character have with a simple flick of you right eye... How cool was that? NIA was able to detect some sort of brain waves, muscle movement and others. But to be the truth, this is not yet Matrix technology! You have to train hard to use this NIA. It's not mind reader, but rather, a set of tools that read your brain waves and others sensor such as your face muscle and you MUST train to using it before you could even play a Pong with it! For example, you concentrate your eyes on the screen but all your face muscle is relaxed. If you can manage to do that constantly until NIA software decide that it was enough trained. It's just like training a voice command, but much harder.